Dorset ewes are of medium size and are naturally prolific; skin color is pink whilst the face, legs and ears are white. 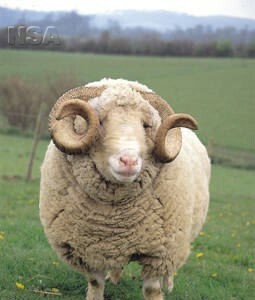 Rams show a bold masculine appearance and also carry good fleshing throughout. The wool of both the Horn and Poll is of the highest quality, not only is it fine and densely grown but is particularly white which helps it find a ready market in times of plenty. Average mature ewe weighs 85kg, rams 120kg.